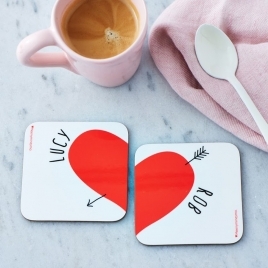 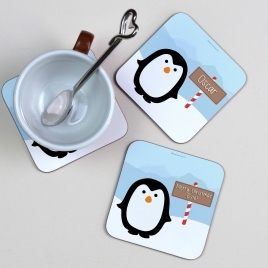 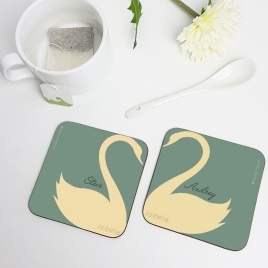 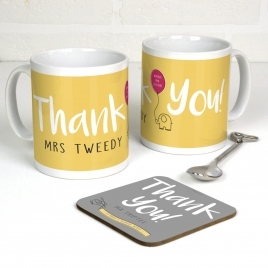 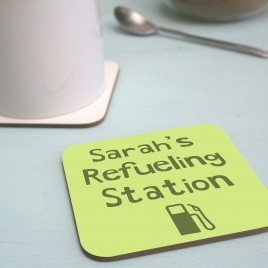 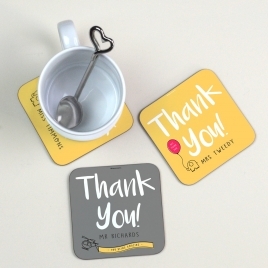 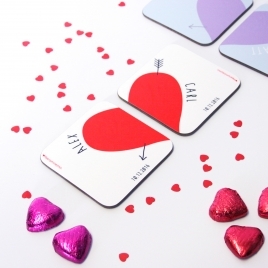 A very cute personalised penguin coaster by Giveagift. 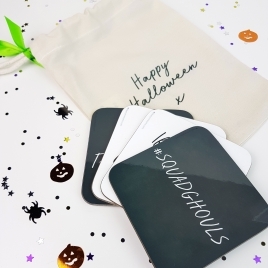 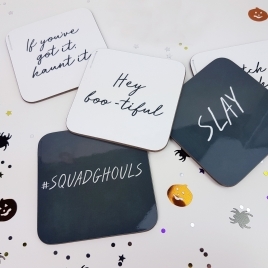 A stylish and fun Halloween coaster, 8 designs to choose from! 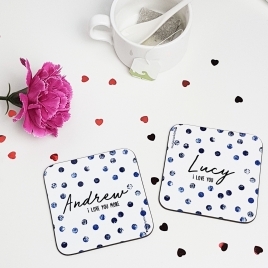 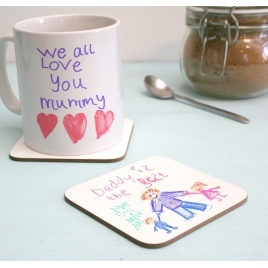 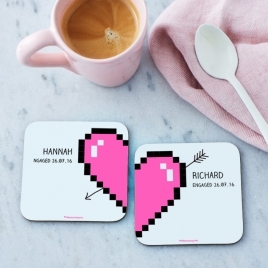 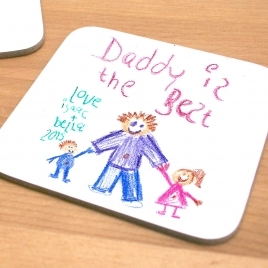 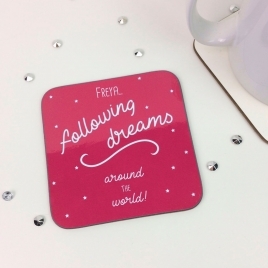 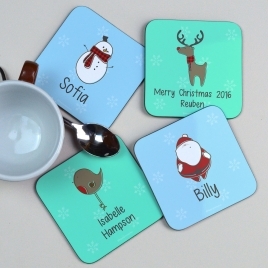 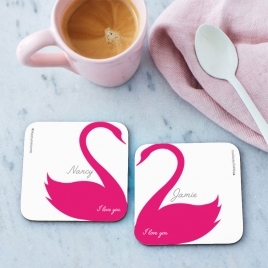 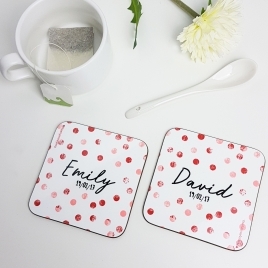 A very cute personalised Christmas coaster! 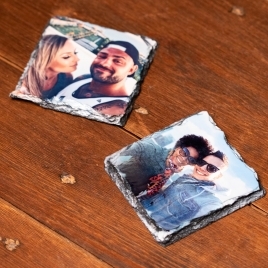 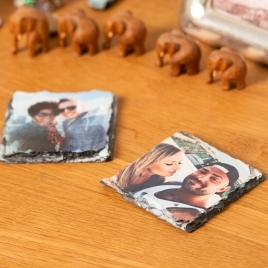 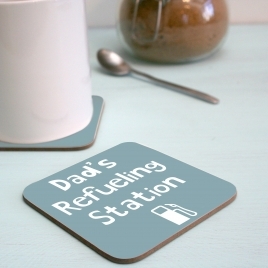 A beautiful natural slate coaster printed with a photo of your choice.